What do men's pro cycling team Garmin-Transitions, LPGA star Sarah-Jane Smith and the New Orleans Saints quarterback Drew Brees all have in common? They all follow a gluten-free diet during their athletic seasons. Gluten is a combination of two proteins: gliadin and glutenin. Both are found in the endosperm of the wheat, barley and rye plants. Gluten is the protein that nourishes wheat during germination from seed to plant. The glutenin in wheat flour gives dough its elasticity and allows leavening; glutenin also contributes to the chewiness of baked goods. For many people, these proteins do not digest appropriately and the body reacts with a variety of symptoms. Some of the most common symptoms of a gluten intolerance are unexplained aches, fatigue, headaches, joint or muscle pain, bloating or other digestion problems. Gluten intolerance, also known as celiac disease, is a condition which has been gaining recognition as a contributing factor in many health issues. New evidence suggests that as many as 1 in 10 people are gluten sensitive, or gluten intolerant. Many autoimmune illnesses may also be associated with gluten intolerance such as, fibromyalgia, chronic fatigue, rheumatoid arthritis, thyroid disorders and diabetes. About 1 percent of the North American population is estimated to have celiac disease. Celiac disease is currently described as damage to and mal absorption of nutrients in the small intestine. Gluten may inflict damage on other areas of the body as well. Whether you are an elite or a recreational athlete, your diet typically relies on adequate carbohydrate intake. The majority of this energy is derived from the gluten containing grains. When these foods are eliminated from the diet, there is a chance that an athlete may not be able to refuel correctly, or they may become deficient in important nutrients such as B-vitamins, forms of iron and fiber. Some athletes are afraid to follow a gluten-free diet because they are concerned about their carbohydrate/energy intake. Carbohydrates before, during and after training or competition are essential in maintaining energy levels, regulated blood sugar, prevention of fatigue, and quick recovery after an event. In fact, some athletes believe that following a gluten-free diet has performance enhancing advantages. 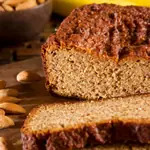 The reason is that athletes choose high glycemic, refined or processed carbohydrates as a quick recovery food, most of these choices contain gluten. When these foods are eliminated from the diet the benefits outweigh the risks, elevated performance results from a diet that is low glycemic index, high fiber, and adequate in lean protein. The rationale behind why many athletes follow gluten-free diets is basically to ease unappealing digestive symptoms during competition. Improved digestion leads to improved absorption of nutrients, which can then translate into improved performance. Based on anecdotal evidence, it appears that there is potential for improved performance in athletes who eat a gluten-free diet even if they are not diagnosed with an allergy or celiac disease. Carbohydrates are an important source of energy, especially during exercise. The recommended intake of carbohydrates is up to 15 g/kg of body weight yet; type of sport, energy output and climate may affect the recommendation. Breads, pasta, cereal, rice, and fruit are the common food products that an athlete is likely to choose. Unfortunately, those diagnosed with celiac disease are unable to eat the wheat based items. Typical healthy carbohydrate substitutions within a gluten-free diet include all varieties of rice, organic corn, flaxseeds, quinoa, tapioca, potato, amaranth, tofu, nuts, and beans.